Welcome to the Podcast Segment of YouTube's "The Poetry Vlog": bit.ly/thepoetryvlog. Tune in for 2-min poetry readings & 30-minute guest discussions connecting poetry, pop culture, & social justice. Guests range from published poets, scholars, & artists to folx just entering these conversations. BONUS: FB Live Collaboration on Queer Prison Abolition. Reading: Marilyn Buck and Andrea Jenkins in collab with Winona State University students! Flash Briefing: Seattle Youth Poet Laureate Azura Tyabji Reads "India Poems"
Flash Briefing: Seattle Youth Poet Laureate Azura Tyabji reads "Palanquin"
Flash Briefing: Seattle's Youth Poet Laureate Azura Tyabji Reads "Zero vs. Stockfish"
Flash Briefing: Chicago Youth Poet Laureate Kara Jackson Reads "Poem for the Midwest"
Flash Briefing: Chicago Youth Poet Laureate Kara Jackson Reads "Anthem for My Belly After Eating Too Much"
Flash Briefing: Chicago Youth Poet Laureate Kara Jackson "Landays for the woman that pulled her pepper spray out on the CTA"
Flash Briefing: Chicago Youth Poet Laureate Kara Jackson Lucille Clifton's "Homage to My Hips"
Flash Briefing: Lynn Otto reads "Yolked" from "Real Daughter"
Lynn Otto reads "Yolked" from her new book, "Real Daughter" (links below). Listen to her read all week, and then stay tuned this weekend for our longer chat! 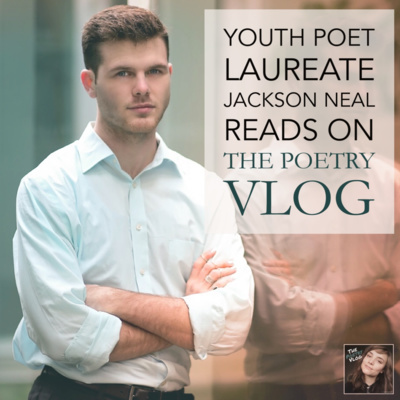 - Leave us a rating in iTunes and let me know what you think at thepoetryvlog.com (also available on Apple, Spotify, Stitcher, and 9 other podcast distributors) - Subscribe to the YouTube channel for content specific to the Vlog's audio-visual media (& catch up before longer episodes resume next week! ): bit.ly/thepoetryvlog - Support this project with $1 a month: anchor.fm/thepoetryvlog/support - Join the Community newsletter! Fill in your info at thepoetryvlog.com, and I will also send you your "snail mail" welcome. - Say hi on social: instagram.com/thepoetryvlog facebook.com/thepoetryvlog twitter.com/thepoetryvlog - More on Lynn Otto: lynnottoinfo.wordpress.com - Support Lynn's book, "Real Daughter," from Unicorn Press: http://www.unicorn-press.org/books/Otto-Real-Daughter.html - More about Lynn Otto: Lynn Otto is a freelance academic copy editor and writing mentor. Her collection Real Daughter won Unicorn Press's 2017 First Book Award and will be released January 28. Journal publications include poems in Iron Horse Literary Review, Raleigh Review, Sequestrum, and others. 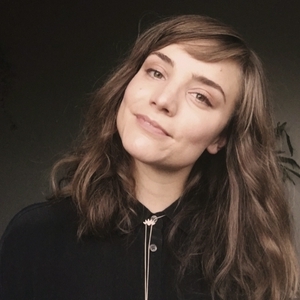 Lynn holds an MFA from Portland State University, was a 2015/16 resident associate at the National Humanities Center in North Carolina, and has given workshops in the US, Canada, and France. She now lives in Oregon’s Willamette Valley (with her husband, one of her kids, and a very good dog). 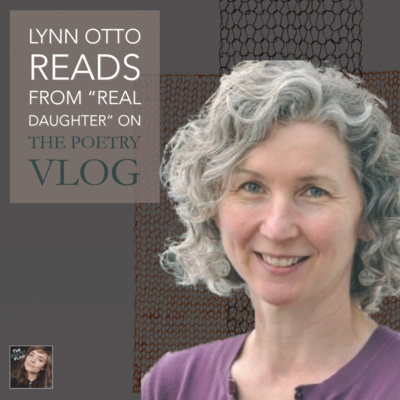 Flash Briefing: Lynn Otto reads "The Douglas Fir Leans Toward the House and I Pretend it Doesn't" from "Real Daughter"
Lynn Otto reads "The Douglas Fir Leans Toward the House and I Pretend it Doesn't" from her new book, "Real Daughter" (links below). Listen to her read all week, and then stay tuned this weekend for our longer chat! - Leave us a rating in iTunes and let me know what you think at thepoetryvlog.com (also available on Apple, Spotify, Stitcher, and 9 other podcast distributors) - Subscribe to the YouTube channel for content specific to the Vlog's audio-visual media (& catch up before longer episodes resume next week! ): bit.ly/thepoetryvlog - Support this project with $1 a month: anchor.fm/thepoetryvlog/support - Join the Community newsletter! Fill in your info at thepoetryvlog.com, and I will also send you your "snail mail" welcome. - Say hi on social: instagram.com/thepoetryvlog facebook.com/thepoetryvlog twitter.com/thepoetryvlog - More on Lynn Otto: lynnottoinfo.wordpress.com - Support Lynn's book, "Real Daughter," from Unicorn Press: http://www.unicorn-press.org/books/Otto-Real-Daughter.html - More about Lynn Otto: Lynn Otto is a freelance academic copy editor and writing mentor. Her collection Real Daughter won Unicorn Press's 2017 First Book Award and will be released January 28. Journal publications include poems in Iron Horse Literary Review, Raleigh Review, Sequestrum, and others. Lynn holds an MFA from Portland State University, was a 2015/16 resident associate at the National Humanities Center in North Carolina, and has given workshops in the US, Canada, and France. She now lives in Oregon’s Willamette Valley (with her husband, one of her kids, and a very good dog). Flash Briefing: Lynn Otto Reads "One Story" and "Letter from a Reader" from "Real Daughter"
Lynn Otto reads "One Story" and "Letter from a Reader" from her new book, "Real Daughter" (links below). Listen to her read all week, and then stay tuned this weekend for our longer chat! 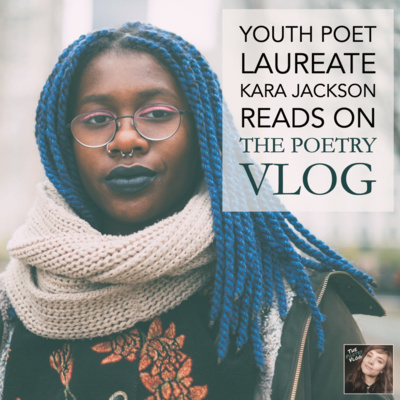 - Leave us a rating in iTunes and let me know what you think at thepoetryvlog.com (also available on Apple, Spotify, Stitcher, and 9 other podcast distributors) - Subscribe to the YouTube channel for content specific to the Vlog's audio-visual media (& catch up before longer episodes resume next week! ): bit.ly/thepoetryvlog - Support this project with $1 a month: anchor.fm/thepoetryvlog/support - Join the Community newsletter! Fill in your info at thepoetryvlog.com, and I will also send you your "snail mail" welcome. - Say hi on social: instagram.com/thepoetryvlog facebook.com/thepoetryvlog twitter.com/thepoetryvlog - More on Lynn Otto: lynnottoinfo.wordpress.com - Support Lynn's book, "Real Daughter," from Unicorn Press: http://www.unicorn-press.org/books/Otto-Real-Daughter.html - More about Lynn Otto: Lynn Otto is a freelance academic copy editor and writing mentor. Her collection Real Daughter won Unicorn Press's 2017 First Book Award and will be released January 28. Journal publications include poems in Iron Horse Literary Review, Raleigh Review, Sequestrum, and others. Lynn holds an MFA from Portland State University, was a 2015/16 resident associate at the National Humanities Center in North Carolina, and has given workshops in the US, Canada, and France. She now lives in Oregon’s Willamette Valley (with her husband, one of her kids, and a very good dog). Flash Briefing: Lynn Otto reads "Marcescence" from "Real Daughter"
Lynn Otto reads "Marcescence" from her new book, "Real Daughter" (links below). Listen to her read all week, and then stay tuned this weekend for our longer chat! - Leave us a rating in iTunes and let me know what you think at thepoetryvlog.com (also available on Apple, Spotify, Stitcher, and 9 other podcast distributors) - Subscribe to the YouTube channel for content specific to the Vlog's audio-visual media (& catch up before longer episodes resume next week! ): bit.ly/thepoetryvlog - Support this project with $1 a month: anchor.fm/thepoetryvlog/support - Join the Community newsletter! Fill in your info at thepoetryvlog.com, and I will also send you your "snail mail" welcome. - Say hi on social: instagram.com/thepoetryvlog facebook.com/thepoetryvlog twitter.com/thepoetryvlog - More on Lynn Otto: lynnottoinfo.wordpress.com - Support Lynn's book, "Real Daughter," from Unicorn Press: http://www.unicorn-press.org/books/Otto-Real-Daughter.html - More about Lynn Otto: Lynn Otto is a freelance academic copy editor and writing mentor. Her collection Real Daughter won Unicorn Press's 2017 First Book Award and will be released January 28. Journal publications include poems in Iron Horse Literary Review, Raleigh Review, Sequestrum, and others. Lynn holds an MFA from Portland State University, was a 2015/16 resident associate at the National Humanities Center in North Carolina, and has given workshops in the US, Canada, and France. She now lives in Oregon’s Willamette Valley (with her husband, one of her kids, and a very good dog). Flash Briefing: "Ballad (Stork Droppings)" from Farnoosh Fathi's "Great Guns"
Flash Briefing: "Sweet Guts" from Farnoosh Fathi's "Great Guns"
Flash Briefing: "Snail" from Farnoosh Fathi's "Great Guns"
Flash Briefing: "Gold Dolt" from Farnooth Fathi's "Great Guns"
Flash Briefing: "Apology" from Farnoosh Fathi's book, "Great Guns"
"Patrick and Pop Culture" Explains: Explained: D. A. Powell's Poetry, Writing through HIV/AIDS, Camp, and "Spilling the Tea"
View the full YouTube Episode, which includes bonus visual materials, such as definitions of the "jargon" we use, images of the poems read by Patrick, and more: bit.ly/thepoetryvlog. - - More about The Poetry Vlog with Chelsea Grimmer & the Patrick and Pop Culture Segment: thepoetryvlog.com - - Support this education and poetry project with $1 a month: anchor.fm/thepoetryvlog/support - - Join our community @thepoetryvlog: - Community Dialogue Updates: instagram.com/thepoetryvlog (will soon be merged with @chelsea_grimmer) - Cross-Platform Clips & Updates: facebook.com/thepoetryvlog - Commentary & connection: twitter.com/thepoetryvlog - Yes, we are also poet-scholars! Say hi to us: instagram.com/patrick.milian instagram.com/chelsea_grimmer - - Patrick made you all a playlist just for this episode! And DA Powell "re-tweeted" it! 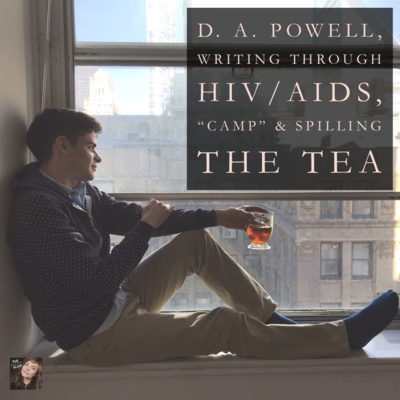 Find it on Spotify: - "The DA Powell Discography": A Playlist Made by Patrick Milian for The Poetry Vlog: http://bit.ly/dapowelldiscog - - About Patrick Milian: Patrick Milian is a David A. Robertson Fellow, doctoral candidate, and teacher at the University of Washington where he also received his MFA. He has been a William Ralph Wayland Fellow, the recipient of a grant from the Klepser Endowment, and winner of the Richard J. Dunn Teaching Award. His poetry and creative non-fiction have appeared in Denver Quarterly, Fourteen Hills, Mid-American Review, The Offing, and The Seattle Review, for which he was a Pushcart Prize nominee. Peer-reviewed essays have appeared in Joyce Studies Annual and forthcoming in Modernism/modernity. The Gleaners, a song cycle written in collaboration with composer Emerson Eads premiered by Northwest Art Song Fall 2018, and his chapbook, "Pornographies" was published the same season. Flash Briefing: Camea Davis Reads "On Rationale"
Flash Briefing: Camea Davis Reads "Martyr Work"
Flash Briefing: "The Speed of Belief" From Tracy K. Smith's "Life on Mars"
In this episode, Sarah Dowling explains the introduction to her book. Translingual Poetics: Writing Personhood Under Settler Colonialism, in which she defines neoliberal multiculturalism by close-reading a Coca-Cola ad. Then, she discusses how translingual poetics offer hopeful alternatives for thinking about difference. This is a modification of the full YouTube episode. To watch this on YouTube and access the bonus visual materials, coca-cola ad itself, and hyperlinks to references, visit The Poetry Vlog with Chelsea Grimmer on YouTube: bit.ly/thepoetryvlog - Leave us a rating in iTunes and let me know what you think at thepoetryvlog.com (also available on Apple, Spotify, Stitcher, and 9 other podcast distributors) - To support this project: anchor.fm/thepoetryvlog/support - Follow @: thepoetryvlog.com instagram.com/thepoetryvlog facebook.com/thepoetryvlog twitter.com/thepoetryvlog Let us know what you think at thepoetryvlog.com, by leaving a rating in Apple podcasts (also available on Apple, Spotify, Stitcher, and 9 other podcast distributors) To support this project: anchor.fm/thepoetryvlog/support Follow @: thepoetryvlog.com instagram.com/thepoetryvlog facebook.com/thepoetryvlog twitter.com/thepoetryvlog More about Sarah Dowling: Sarah Dowling is the author of Translingual Poetics: Writing Personhood under Settler Colonialism, and two books of poetry, DOWN and Security Posture. Sarah teaches in the Centre for Comparative Literature and Victoria College at the University of Toronto. The Poetry Vlog on YouTube: www.youtube.com/channel/UClQ9v_r99FxQOzLrTVBic6A? thepoetryvlog.com instagram.com/the_poetry_vlog facebook.com/thepoetryvlog twitter.com/thepoetryvlog This flash briefing continues our week of featuring Sarah Dowling as she reads Gwen Benaway's poem, "Root," which can be found in Gwen's book-length collection, "Holy Wild." Stay tuned for Sarah perofmring readings all week plus a longer episode closer to the weekend! And as always, let me know what you think by subscribing and rating this podcast in Apple, Spotify, etc. To support this podcast: anchor.fm/thepoetryvlog/support Send my your thoughts or queries via voice message on Anchor.fm/thepoetryvlog, or the contact buttons and pages on my site, chelseagrimmer.com. More about Sarah: Sarah Dowling is the author of Translingual Poetics: Writing Personhood under Settler Colonialism, and two books of poetry, DOWN and Security Posture. Sarah teaches in the Centre for Comparative Literature and Victoria College at the University of Toronto. The Poetry Vlog on YouTube: www.youtube.com/channel/UClQ9v_r99FxQOzLrTVBic6A? thepoetryvlog.com instagram.com/the_poetry_vlog facebook.com/thepoetryvlog twitter.com/thepoetryvlog This flash briefing continues our week of featuring Sarah Dowling as she reads her poem, "Ornament." Stay tuned for her readings all week plus a longer episode closer to the weekend! And as always, let me know what you think by subscribing and rating this podcast in Apple, Spotify, etc. To support this podcast: anchor.fm/thepoetryvlog/support Send my your thoughts or queries via voice message on Anchor.fm/thepoetryvlog, or the contact buttons and pages on my site, chelseagrimmer.com. More about Sarah: Sarah Dowling is the author of Translingual Poetics: Writing Personhood under Settler Colonialism, and two books of poetry, DOWN and Security Posture. Sarah teaches in the Centre for Comparative Literature and Victoria College at the University of Toronto. The Poetry Vlog on YouTube: www.youtube.com/channel/UClQ9v_r99FxQOzLrTVBic6A? thepoetryvlog.com instagram.com/the_poetry_vlog facebook.com/thepoetryvlog twitter.com/thepoetryvlog This flash briefing introduces you to Sarah Dowling as she reads her poem, "I Would Not Think to Touch the Sky with Two Arms." Stay tuned for her readings all week plus a longer episode closer to the weekend! And as always, let me know what you think by subscribing and rating this podcast in Apple, Spotify, etc. To support this podcast: anchor.fm/thepoetryvlog/support Send my your thoughts or queries via voice message on Anchor.fm/thepoetryvlog, or the contact buttons and pages on my site, chelseagrimmer.com. More about Sarah: Sarah Dowling is the author of Translingual Poetics: Writing Personhood under Settler Colonialism, and two books of poetry, DOWN and Security Posture. Sarah teaches in the Centre for Comparative Literature and Victoria College at the University of Toronto. The Poetry Vlog on YouTube: www.youtube.com/channel/UClQ9v_r99FxQOzLrTVBic6A? thepoetryvlog.com instagram.com/the_poetry_vlog facebook.com/thepoetryvlog twitter.com/chelseagrimmer This one goes out to my sweetheart from when we were 19/21 (respectively). Yes, sometimes pop music lyrics read as poetry! This is "Virtute the Cat Explains Her Departure" from John K. Samson's book, "Lyrics and Poems: 1997 - 2012." It is also a song from his band, The Weakerthans. If you have more song lyrics you want me to try reading as I would regularly poems, send them my way and we will see how it goes. For links to the song itself and the writer: johnksamson.com/ For the Patrick and Pop Culture Holiday playlist: open.spotify.com/playlist/0L8Rf0UnYXjO8HRXoMy0zD To support this podcast: anchor.fm/thepoetryvlog/support Let me know what you think by sending me an email, a voice message on Anchor.fm, or the contact buttons and pages on my site, chelseagrimmer.com. The Poetry Vlog on YouTube: www.youtube.com/channel/UClQ9v_r99FxQOzLrTVBic6A? thepoetryvlog.com instagram.com/the_poetry_vlog facebook.com/thepoetryvlog twitter.com/chelseagrimmer This one goes out to my sweetheart from when we were 19/21 (respectively). Yes, sometimes pop music lyrics read as poetry! This is "Exiles Among You" from John K. Samson's book, "Lyrics and Poems: 1997 - 2012." It is also a song from his band, The Weakerthans. If you have more song lyrics you want me to try reading as I would regularly poems, send them my way and we will see how it goes. For links to the song itself and the writer: johnksamson.com/ For the Patrick and Pop Culture Holiday playlist: open.spotify.com/playlist/0L8Rf0UnYXjO8HRXoMy0zD To support this podcast: anchor.fm/thepoetryvlog/support Let me know what you think by sending me an email, a voice message on Anchor.fm, or the contact buttons and pages on my site, chelseagrimmer.com. The Poetry Vlog on YouTube: www.youtube.com/channel/UClQ9v_r99FxQOzLrTVBic6A? thepoetryvlog.com instagram.com/the_poetry_vlog facebook.com/thepoetryvlog twitter.com/chelseagrimmer This one goes out to my sweetheart from when we were 19/21 (respectively). Yes, sometimes pop music lyrics read as poetry! This is "Night Windows" from John K. Samson's book, "Lyrics and Poems: 1997 - 2012." It is also a song from his band, The Weakerthans. If you have more song lyrics you want me to try reading as I would regularly poems, send them my way and we will see how it goes. For links to the song itself and the writer: johnksamson.com/ For the Patrick and Pop Culture Holiday playlist: open.spotify.com/playlist/0L8Rf0UnYXjO8HRXoMy0zD To support this podcast: anchor.fm/thepoetryvlog/support Let me know what you think by sending me an email, a voice message on Anchor.fm, or the contact buttons and pages on my site, chelseagrimmer.com. The Poetry Vlog on YouTube: www.youtube.com/channel/UClQ9v_r99FxQOzLrTVBic6A? thepoetryvlog.com instagram.com/the_poetry_vlog facebook.com/thepoetryvlog twitter.com/chelseagrimmer This one goes out to my sweetheart from when we were 19/21 (respectively). Yes, sometimes pop music lyrics read as poetry! This is "Hymn of the Medical Oddity" from John K. Samson's book, "Lyrics and Poems: 1997 - 2012." It is also a song from his band, The Weakerthans. If you have more song lyrics you want me to try reading as I would regularly poems, send them my way and we will see how it goes. For links to the song itself and the writer: johnksamson.com/ For the Patrick and Pop Culture Holiday playlist: open.spotify.com/playlist/0L8Rf0UnYXjO8HRXoMy0zD To support this podcast: anchor.fm/thepoetryvlog/support Let me know what you think by sending me an email, a voice message on Anchor.fm, or the contact buttons and pages on my site, chelseagrimmer.com. The Poetry Vlog on YouTube: www.youtube.com/channel/UClQ9v_r99FxQOzLrTVBic6A? thepoetryvlog.com instagram.com/the_poetry_vlog facebook.com/thepoetryvlog twitter.com/chelseagrimmer This one goes out to my sweetheart from when we were 19/21 (respectively). Yes, sometimes pop music lyrics read as poetry! This is "Diagnosis" by John K. Samson's book, "Lyrics and Poems: 1997 - 2012." If you have more song lyrics you want me to try reading as I would regularly poems, send them my way and we will see how it goes. For links to the song itself and the writer: http://johnksamson.com/ For the Patrick and Pop Culture Holiday playlist: open.spotify.com/playlist/0L8Rf0UnYXjO8HRXoMy0zD To support this podcast: anchor.fm/thepoetryvlog/support Let me know what you think by sending me an email, a voice message on Anchor.fm, or the contact buttons and pages on my site, chelseagrimmer.com. The Poetry Vlog on YouTube: www.youtube.com/channel/UClQ9v_r99FxQOzLrTVBic6A? thepoetryvlog.com instagram.com/the_poetry_vlog facebook.com/thepoetryvlog twitter.com/chelseagrimmer To support this podcast, click on "listener support" at anchor.fm/thepoetryvlog. Welcome to "Patrick and Pop Culture: A 1994 Very Holiday!." We listen to and discuss metaphor and metonym in Mariah Carey's "All I Want for Christmas," then connect this to T. S. Eliot's "Journey of the Magi" of all things, and then somehow wind up ending on some great ways to think about the ethics of reading and the work of pushing against fascist rhetorical frameworks. It's four parts, it's funny, and it's hopefully fun. 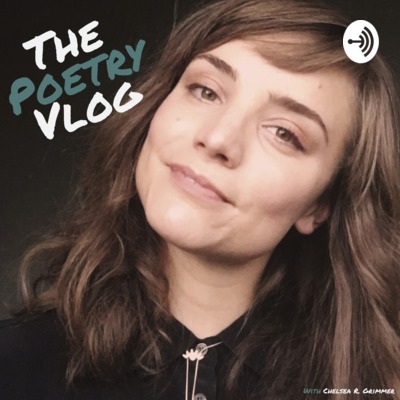 Let us know what you think at thepoetryvlog.com, by leaving a rating in Apple podcasts, or commenting on the YouTube edition (which, as always, has some great bonus content and is not quite the same as the podcast)! For the Patrick and Pop Culture Holiday playlist: open.spotify.com/playlist/0L8Rf0UnYXjO8HRXoMy0zD To support this podcast: anchor.fm/thepoetryvlog/support Let me know what you think by sending me an email, a voice message on Anchor.fm, or the contact buttons and pages on my site, chelseagrimmer.com. The Poetry Vlog on YouTube: www.youtube.com/channel/UClQ9v_r99FxQOzLrTVBic6A? thepoetryvlog.com instagram.com/the_poetry_vlog facebook.com/thepoetryvlog twitter.com/chelseagrimmer To support this podcast, click on "listener support" at anchor.fm/thepoetryvlog. Today's flash briefing poetry reading is T. S. Eliot's famous, "Journey of the Magi," this time read by Patrick Milian. Links below to T. S. Eliot himself reading it, but stay tuned for the upcoming "Patrick and Pop Culture: A 1994 Holiday" episode. We put Mariah Carey and T. S. Eliot in conversation, explore metaphors and metonym in both music theory and poetry, and make a case for anti-fascist reading practices -- all while making a gingerbread house! We read this one poem two very, very different ways, so enjoy the unexpected coalition that emerges. For the Patrick and Pop Culture Holiday playlist: open.spotify.com/playlist/0L8Rf0UnYXjO8HRXoMy0zD To support this podcast: https://anchor.fm/thepoetryvlog/support Let me know what you think by sending me an email, a voice message on Anchor.fm, or the contact buttons and pages on my site, chelseagrimmer.com. The Poetry Vlog on YouTube: www.youtube.com/channel/UClQ9v_r99FxQOzLrTVBic6A? thepoetryvlog.com instagram.com/the_poetry_vlog facebook.com/thepoetryvlog twitter.com/chelseagrimmer To support this podcast, click on "listener support" at anchor.fm/thepoetryvlog. Today's flash briefing poetry reading is T. S. Eliot's famous, "Journey of the Magi." Links below to him reading it, but stay tuned for the upcoming "Patrick and Pop Culture: A 1994 Holiday" episode. We will put Mariah Carey and T. S. Eliot in conversation while making a gingerbread house, because we read this one poem two very, very different ways. For the Patrick and Pop Culture Holiday playlist: https://open.spotify.com/playlist/0L8Rf0UnYXjO8HRXoMy0zD Let me know what you think by sending me an email, a voice message on Anchor.fm, or the contact buttons and pages on my site, chelseagrimmer.com. For more: The Poetry Vlog on YouTube: www.youtube.com/channel/UClQ9v_r99FxQOzLrTVBic6A? thepoetryvlog.com instagram.com/the_poetry_vlog facebook.com/thepoetryvlog twitter.com/chelseagrimmer Today's flash briefing poetry reading is a submission by J. Cirillo in Portland, OR. I give out postcards and ask listeners to mail them back with what they are reading/listening to/watching that gives them hope, and J. 's was the first to come back. Even better: it had an original poem on it! It made my day and I am happy to share it hear and promote J. 's work. I love submissions like this, so visit thepoetryvlog.com. Interactive links will give you ways to submit requests, original work, or audio recordings of your own to the weekly flash briefing poetry readings. Hope to hear from many of you! Let me know what you think by sending me an email, a voice message on Anchor.fm, or the contact buttons and pages on my site, chelseagrimmer.com. Link the YouTube Episode: www.youtube.com/channel/UClQ9v_r99FxQOzLrTVBic6A? For more: thepoetryvlog.com instagram.com/the_poetry_vlog facebook.com/thepoetryvlog twitter.com/chelseagrimmer In this episode, one of my former students and now dear friend and colleague, Ananya Garg, talks about how Nikki Giovanni and Fatimah Asghar's poetry inspires her, followed by a longer discussion on why we use line breaks (or don't) in poems. Finally, we spend the last 13 minutes on Ananya's amazing piece, "Mango," workshopping it for you all and discussing future possible ways to play around with it. For bonus content, check out the YouTube episode. To support this podcast, visit anchor.fm/thepoetryvlog and click "support" (it's a purple button). More on Ananya: Ananya is a poet, student, performer, organizer, and artist. For more info and bookings: ananyagarg.com and Twitter.com/originalananya Let me know what you think by sending me an email, a voice message on Anchor.fm, or the contact buttons and pages on my site, chelseagrimmer.com. Flash Briefing: Ananya Garg Reading "Mango"
For more: The Poetry Vlog on YouTube: www.youtube.com/channel/UClQ9v_r99FxQOzLrTVBic6A? thepoetryvlog.com instagram.com/the_poetry_vlog facebook.com/thepoetryvlog twitter.com/chelseagrimmer This week, special guest Ananya Garg reads you three pieces. We have finally reached the original content: Ananya's own poem, "Mango"! Stay tuned for our longer discussion on both YouTube and podcast! More on Ananya: Ananya is a poet, student, performer, organizer, and artist. For more info and bookings: ananyagarg.com and Twitter.com/originalananya Let me know what you think by sending me an email, a voice message on Anchor.fm, or the contact buttons and pages on my site, chelseagrimmer.com. Flash Briefing: Ananya Garg Reads Fatimah Asghar's "Partition"
For more: The Poetry Vlog on YouTube: www.youtube.com/channel/UClQ9v_r99FxQOzLrTVBic6A? thepoetryvlog.com instagram.com/the_poetry_vlog facebook.com/thepoetryvlog twitter.com/chelseagrimmer This week, special guest Ananya Garg reads you three pieces. 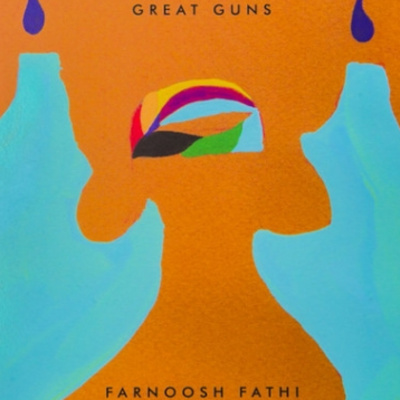 Today we are into the second our line-up: Fatimah Asghar's "Partition." Stay tuned for an original piece by Ananya tomorrow, and then for our longer discussion on both YouTube and podcast! More on Ananya: Ananya is a poet, student, performer, organizer, and artist. For more info and bookings: ananyagarg.com and Twitter.com/originalananya Let me know what you think by sending me an email, a voice message on Anchor.fm, or the contact buttons and pages on my site, chelseagrimmer.com. For more: The Poetry Vlog on YouTube: www.youtube.com/channel/UClQ9v_r99FxQOzLrTVBic6A? thepoetryvlog.com instagram.com/the_poetry_vlog facebook.com/thepoetryvlog twitter.com/chelseagrimmer This week, special guest Ananya Garg reads you three pieces. We start with Nikki Giovanni's "Swinging on a Rainbow," but stay tuned for an original piece later this week and then for a longer discussion on both YouTube and podcast! More on Ananya: Ananya is a poet, student, performer, organizer, and artist. For more info and bookings: ananyagarg.com and Twitter.com/originalananya Let me know what you think by sending me an email, a voice message on Anchor.fm, or the contact buttons and pages on my site, chelseagrimmer.com. For more: The Poetry Vlog on YouTube: www.youtube.com/channel/UClQ9v_r99FxQOzLrTVBic6A? chelseagrimmer.com instagram.com/the_poetry_vlog facebook.com/thepoetryvlog twitter.com/chelseagrimmer This week, special guest all the way from Dallas, Texas is in conversation with us on The Poetry Vlog: Alisha Woodall. 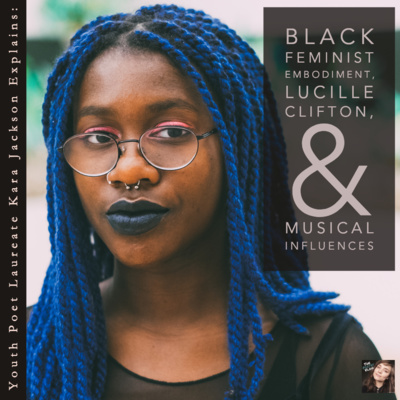 She reads some of her own art and poetry, discusses her work as a licensed therapist, and shares with us therapeutic tools for repairing our relationships to ourselves and one another in the social media era. Stick with the bad audio in the beginning for the gems that really emerge at around the 16 minute mark. Alisha is a gifted speaker who articulately explains how we can re-examine how we think about our bodies as how we think about ourselves, and from there, how we can better see and enact ethical relationships to one another. And poetry, in our conversation, becomes one way to do that. More on Alisha: Alisha Woodall is a Licensed Professional Counselor (LPC-S), postpartum doula, and founder of Finding the Foundation; a private counseling practice based in Dallas, Texas. Through professional counsel Alisha assists clients along their journey of discovery and heightened self-awareness. Passionate about improvement and empowerment, she specializes on issues related to self esteem, emotional management and romantic resolve. Finding the Foundation is committed to helping individuals dig deeper in effort to grow stronger! FindingTheFoundation.com TheInnertreat.eventbrite.com IG: FindingTheFoundation FB: Alisha Woodall, LPC-S Let me know what you think by sending me an email, a voice message on Anchor.fm, or the contact buttons and pages on my site, chelseagrimmer.com. Flash Briefing: Alisha Woodall reads "Naked Visions"
For more: The Poetry Vlog on YouTube: www.youtube.com/channel/UClQ9v_r99FxQOzLrTVBic6A? chelseagrimmer.com instagram.com/the_poetry_vlog facebook.com/thepoetryvlog twitter.com/chelseagrimmer This week, special guest all the way from Dallas, Texas reads her work to you: Alisha Woodall. Here, she reads her original piece, "Naked Visions." You can also hear her visual and audio poem, "The Brand" in yesterday's Flash briefing. To see the full piece from "The Brand," visit instagram.com/thepoetryvlog, where I also hyperlink to her rich Instagram account. More on Alisha: Alisha Woodall is a Licensed Professional Counselor (LPC-S), postpartum doula, and founder of Finding the Foundation; a private counseling practice based in Dallas, Texas. Through professional counsel Alisha assists clients along their journey of discovery and heightened self-awareness. Passionate about improvement and empowerment, she specializes on issues related to self esteem, emotional management and romantic resolve. Finding the Foundation is committed to helping individuals dig deeper in effort to grow stronger! FindingTheFoundation.com TheInnertreat.eventbrite.com IG: FindingTheFoundation FB: Alisha Woodall, LPC-S Let me know what you think by sending me an email, a voice message on Anchor.fm, or the contact buttons and pages on my site, chelseagrimmer.com. Flash Briefing: Alisha Woodall Reads "The Brand"
For more: The Poetry Vlog on YouTube: www.youtube.com/channel/UClQ9v_r99FxQOzLrTVBic6A? chelseagrimmer.com instagram.com/the_poetry_vlog facebook.com/thepoetryvlog twitter.com/chelseagrimmer This week, special guest all the way from Dallas, Texas reads her work to you: Alisha Woodall. This is an audio version of her incredible visual art. See the full piece at instagram.com/thepoetryvlog, where I also hyperlink to her rich Instagram account. More on Alisha: Alisha Woodall is a Licensed Professional Counselor (LPC-S), postpartum doula, and founder of Finding the Foundation; a private counseling practice based in Dallas, Texas. Through professional counsel Alisha assists clients along their journey of discovery and heightened self-awareness. Passionate about improvement and empowerment, she specializes on issues related to self esteem, emotional management and romantic resolve. Finding the Foundation is committed to helping individuals dig deeper in effort to grow stronger! FindingTheFoundation.com TheInnertreat.eventbrite.com IG: FindingTheFoundation FB: Alisha Woodall, LPC-S Let me know what you think by sending me an email, a voice message on Anchor.fm, or the contact buttons and pages on my site, chelseagrimmer.com. Flash Briefing: Further Excerpts from D. A. Powell's "Chronic"
Flash Briefing: Alonso Llerena Reads Natasha Trethewey's "Repentance"
For more: ChelseaGrimmer.com Twitter.com/ChelseaGrimmer Instagram.com/the_poetry_vlog Facebook.com/thepoetryvlog YouTube Edition of this episode: https://youtu.be/b0xlsP_cW8M This is the podcast version of my longer chat with poet and teacher Alonso Llerena, who you might recognize as a guest on the Flash Briefings! For the full episode, links and references, visuals of the reading materials, and more, check out the YouTube version. I promise the added visuals and sound effects are a worthwhile addition. For my podcast friends, though, listen in, listen well, learn deeply. More on Alonso Llerena: Alonso is a poet and teacher in Washington D.C. of Peruvian descent. His work confronts being an immigrant here in the USA, but specifically as a Peruvian who left his country at a young age. His most recent work also addresses the Internal Armed Conflict Peru underwent from 1980-2000. chelseagrimmer.com for more. Flash Briefing: Alonso Llerena Reads Javier Zamora's "Saguaros"
Flash Briefing: D. A. Powell's "crematorium at sierra view cemetery next to the high school"
Flash Briefing: D. A. Powell's "for the coming pandemic"
Flash Briefing: E. K. Frey's "The Grief Performance"
Flash Briefing: Part II Reading from Claudia Rankine's "Citizen: An American Lyric"
Flash Briefing: Chrystos' "Ceremony for Completing a Poetry Reading"
Flash Briefing: Claudia Rankine's "Citizen: An American Lyric"
Flash Briefing: "Identity Blues" from Alok Vaid-Menon's "Femme in Public"
For more: The Poetry Vlog on YouTube: www.youtube.com/channel/UClQ9v_r99FxQOzLrTVBic6A? chelseagrimmer.com instagram.com/the_poetry_vlog facebook.com/thepoetryvlog twitter.com/chelseagrimmer In support of my trans-siblings in the LGBTQIA+ communities and beyond, I posted a poem last week by Alok Vaid-Menon on @thepoetryvlog Instagram: "Identity Blues." It is from their chapbook, "Femme in Public," which you can purchase for $6 in .pdf form: https://www.alokvmenon.com/store/femmeinpublicebook. About "Femme in Public," quoted from their site, alokvmenon.com. : "Femme In Public (2017) is a collection of poetry by nonbinary artist Alok Vaid-Menon. In the author's words it "is a dream of what it could look like to celebrate transfemininity in public – both in ourselves and for the people who desire us (by which I mean: everyone, across time, always)."" About Alok: "ALOK (they/them) is a gender non-conforming performance artist, writer, and educator. Their eclectic style and poetic challenge to the gender binary have been internationally renowned. Alok was recently the youngest recipient of the prestigious Live Works Performance Act Award granted to ten performance artists across the world. In 2017 they released their inaugural poetry chapbook FEMME IN PUBLIC. They have been featured on HBO, MTV, The Guardian, National Geographic, The New York Times, and The New Yorker and have presented their work at 350 venues in more than 40 countries." -- bio quoted from Alok's site, alokvmenon.com. For more: The Poetry Vlog on YouTube: www.youtube.com/channel/UClQ9v_r99FxQOzLrTVBic6A? chelseagrimmer.com instagram.com/the_poetry_vlog facebook.com/thepoetryvlog twitter.com/chelseagrimmer E.J. Koh joins us for a bonus episode! She generously shares from her book, "A Lesser Love," and shares her project "The Love Letters." E. J. is a thoughtful and open hearted interlocutor. 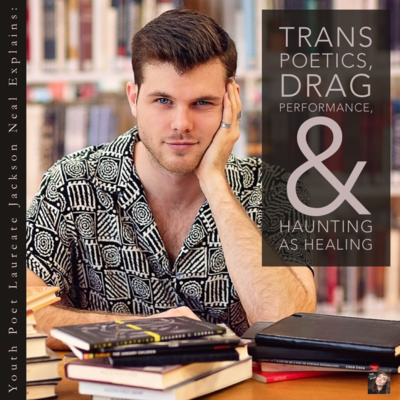 If you're looking for some feel goods and thoughts on healing and love as both poetic and social practice, listen in and let me know your thoughts! About E. J.: E. J. Koh is the author of poetry collection A Lesser Love (Louisiana State U. Press, 2017), winner of the Pleiades Editors Prize, and memoir The Magical Language of Others (Tin House, 2020). Her poems, translations, and stories have appeared in Boston Review, Columbia Review, Los Angeles Review of Books, Prairie Schooner, and Southeast Review. She accepted fellowships from Kundiman, The MacDowell Colony, Vermont Studio Center, and The Jack Straw Writers Program. She is the recipient of the 2017 American Literary Translators Association Emerging Translator Fellowship. She earned her MFA at Columbia University in New York for Poetry and Literary Translation of Korean. She is completing her PhD at the University of Washington for English Language and Literature in Seattle. Flash Briefing: E. J. Koh Reads "Beyonce's Single Ladies English to English Translation"
For more: The Poetry Vlog on YouTube: www.youtube.com/channel/UClQ9v_r99FxQOzLrTVBic6A? chelseagrimmer.com instagram.com/the_poetry_vlog facebook.com/thepoetryvlog twitter.com/chelseagrimmer E.J. Koh is the guest reader today, reading from her book "A Lesser Love," and in particular, her poem, "Beyonce's Single Ladies English to English Translation." We have a longer, podcast-only bonus chat with her coming up later today, so this also a preview into her thoughtful work. About E. J.: E. J. Koh is the author of poetry collection A Lesser Love (Louisiana State U. Press, 2017), winner of the Pleiades Editors Prize, and memoir The Magical Language of Others (Tin House, 2020). Her poems, translations, and stories have appeared in Boston Review, Columbia Review, Los Angeles Review of Books, Prairie Schooner, and Southeast Review. She accepted fellowships from Kundiman, The MacDowell Colony, Vermont Studio Center, and The Jack Straw Writers Program. She is the recipient of the 2017 American Literary Translators Association Emerging Translator Fellowship. She earned her MFA at Columbia University in New York for Poetry and Literary Translation of Korean. She is completing her PhD at the University of Washington for English Language and Literature in Seattle. Flash Briefing: E. J. Koh Reads "Testimony Over Tape Recorder"
For more: The Poetry Vlog on YouTube: www.youtube.com/channel/UClQ9v_r99FxQOzLrTVBic6A? chelseagrimmer.com instagram.com/the_poetry_vlog facebook.com/thepoetryvlog twitter.com/chelseagrimmer E.J. Koh is the guest reader today, reading from her book "A Lesser Love," and in particular, her poem, "Testimony Over Tape Recorder." We have a longer, podcast-only bonus chat with her coming up this week, so this also a preview into her thoughtful work. About E. J.: E. J. Koh is the author of poetry collection A Lesser Love (Louisiana State U. Press, 2017), winner of the Pleiades Editors Prize, and memoir The Magical Language of Others (Tin House, 2020). Her poems, translations, and stories have appeared in Boston Review, Columbia Review, Los Angeles Review of Books, Prairie Schooner, and Southeast Review. She accepted fellowships from Kundiman, The MacDowell Colony, Vermont Studio Center, and The Jack Straw Writers Program. She is the recipient of the 2017 American Literary Translators Association Emerging Translator Fellowship. She earned her MFA at Columbia University in New York for Poetry and Literary Translation of Korean. She is completing her PhD at the University of Washington for English Language and Literature in Seattle. Flash Briefing: Bhanu Kapil Day 5's "The Vertical Interrogation of Strangers"
Flash Briefing: Bhanu Kapil Day 4's "The Vertical Interrogation of Strangers"
More: chelseagrimmer.com Instagram.com/The_Poetry_Vlog Facebook.com/ThePoetryVlog Twitter.com/ChelseaGrimmer In this episode, Patrick Milian makes a third guest appearance to break down the lyrics of and translations between both Imogen Heap's and Ariana Grande's versions of "goodnight and go"/"goodnight n go." He also reads from his favorite book of poems, Ventrakl by Christian Hawkey. We had so much fun doing this, that we are going to make this a weekly-ish special, so stay tuned for more and send in your requests for "Patrick and pop culture" segments! About Chelsea: I am a published scholar, poet, and university writing and poetry instructor with an MFA, MA, and Ph.C. I am completing my dissertation portion of my Ph.D. For more info on me, the tutoring, consultation, and teaching services I offer, publications, fellowships, and speaking events, visit my website (chelseagrimmer.com) or reach out via the above links. About Patrick: Patrick Milian is a David A. Robertson Fellow, doctoral candidate, and teacher at the University of Washington where he also received his MFA. He has been a William Ralph Wayland Fellow, the recipient of a grant from the Klepser Endowment, and winner of the Richard J. Dunn Teaching Award. His poetry and creative non-fiction have appeared in Denver Quarterly, Fourteen Hills, Mid-American Review, The Offing, and The Seattle Review, for which he was a Pushcart Prize nominee. Peer-reviewed essays have appeared in Joyce Studies Annual and forthcoming in Modernism/modernity. The Gleaners, a song cycle written in collaboration with composer Emerson Eads will be premiered by Northwest Art Song this Fall. Flash Briefing: Bhanu Kapil Day 3's "The Vertical Interrogation of Strangers"
Flash Briefing: Bhanu Kapil's Intro: "The Vertical Interrogation of Strangers"
Flash Briefing: From Geoffrey O'Brien's "Metropole"
For More: ChelseaGrimmer.com The Poetry Vlog on YouTube Instagram.com/ThePoetryVlog Facebook.com/ThePoetryVlog Twitter.com/ChelseaGrimmer I had some requests lately that I read one of my own poems. So, I am reading my most recent one, "Boylesque." I have loved getting so many guest readers and requests this week. Keep them coming! Just email me at cgrimmer@uw.edu or use my site, ChelseaGrimmer.com. For more: ChelseaGrimmer.com Instagram.com/the_poetry_vlog Facebook.com/thepoetryvlog Twitter.com/ChelseaGrimmer Catherine Bresner, a Seattle poet and “tinkerer” in visual arts, discusses the need for a feminist language of experience. You will get a peek into Matthea Harvey’s visual poetics book, “Of Lamb,” Renee Gladman’s “Prose Architectures,” and Catherine’s own visual poem, “American Sentence.” Catherine is an articulate teacher and writer, skilled at explaining her experiences in writing and being in a way that translates across multiple audiences. As she reads and shows poetry comics that I inspire her as well as her own, curl up with a spiced fall beverage of choice and join us! As always, you can always listen to the podcast version. However, this particular episode is on visual poetics — your experience will be enriched by watching :). More on Catherine: Catherine Bresner is the author of the chapbook The Merriam Webster Series and the artist book Everyday Eros (Mount Analogue 2017). Her poetry has appeared in The Offing, Heavy Feather Review, Gulf Coast, Poetry Northwest, Passages North, The Pinch and elsewhere. Her book, the empty season, won the Diode Edition Book Prize in 2017 and she was a runner-up for the 2018 Rattle Poetry Prize. She has been the coordinating editor of the Seattle Review, and the publicity assistant for Wave Books. Currently, she is the managing editor for BOAAT Press. You can find more of her work at www.catherinebresner.com. Flash Briefing: Audre Lorde's "The Master's Tools Will Never Dismantle the Master's House"
Flash Briefing: Jo Carrillo in "This Bridge Called My Back"
Flash Briefing: Noelle Kocot's "The Phantom Pains of Madness"
Flash Briefing: Solmaz Sharif's "The Master's House"
Bonus Reading: Dian Million's "The Housing Poem"
Bonus Reading: Ocean Vuong's "Prayer for the Newly Damned"
Bonus Reading: Adrienne Rich's "A Mark of Resistance"
Flash Briefing in Kavanaugh Hearing: Lorde's "Litany for Survival"
For more: ChelseaGrimmer.com Twitter.com/ChelseaGrimmer Instagram.com/the_poetry_vlog Facebook.com/thepoetryvlog In today's flash briefing, I read Audre Lorde's "Litany for Survival." It is sickening to realize how it so accurately applies to today's Kavanaugh hearing, while also heartening to move through that space of potential coalition and care. Link to it: https://www.poetryfoundation.org/poems/147275/a-litany-for-survival Excerpt: "And when the sun rises we are afraid it might not remain when the sun sets we are afraid it might not rise in the morning when our stomachs are full we are afraid of indigestion when our stomachs are empty we are afraid we may never eat again when we are loved we are afraid love will vanish when we are alone we are afraid love will never return and when we speak we are afraid our words will not be heard nor welcomed but when we are silent we are still afraid So it is better to speak remembering we were never meant to survive." Flash Briefing Poetry Reading: Don Mee Choi's "Hardly War"
Flash Briefing Poetry Reading: Gabrielle Bates' "The Masters"
ChelseaGrimmer.com for more. This is podcast episode is greatly supplemented by the video's visual aids on YouTube. To watch instead of/in addition to listening: https://youtu.be/SEyC1uxGvUk Gabrielle Bates talks about dark humor and the poetics of Bojack Horseman and how she sees it in conversation with her own work. 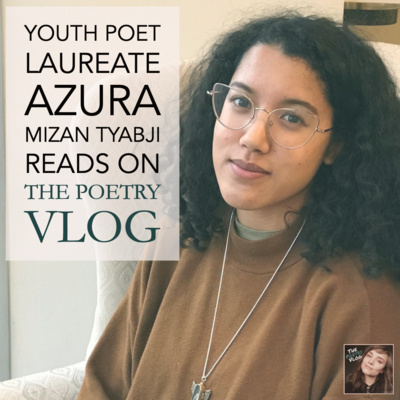 We get a peek at some of her poetry comics recently published in Poetry Magazine and on The Poetry Foundation’s website (link below), hear her read her poem, “Lesson,” and hear her breaking down beginnings and ends of single lines effectively. More on Gabby: Gabrielle Bates is the Social Media Manager of Open Books: A Poem Emporium, managing editor of the Seattle Review, an editorial assistant and contributing editor for Poetry Northwest, the official voice of Broadsided Press on twitter, and a contributing editor for Bull City Press. Her poems and poetry comics appear or are forthcoming in the New Yorker, Poetry, New England Review, and Gulf Coast, and others. Flash Briefing Poetry Reading: Gabrielle Bates Reads "Judas Goat"
Flash Briefing Poetry Reading: Lucie Brock-Broido's "The Master Letters"
Flash Briefing Poetry Reading: Julia Bloch's "Valley Fever"
Flash Briefing Poetry Reading: Joseph Rios' "Shadowboxing"
Welcome to Part 2 of my chat with Lucia Lorenzi. As artist, scholar, public speaker, and activist, Lucia picks up where we left off by speakign to academia's pitfalls, the importance of silence as meaning-making for anti-racist and historically critically work, and more. This is my favorite part of our conversation, where we talk about needing to account for ableism in academia, and I hope you enjoy it as much as I enjoyed chatting with her. About Lucia: www.empathywarrior.ca twitter.com/empathywarrior Lucia is a postdoctoral fellow in English and Cultural Studies at McMaster University. Trained as a Canadianist, she studies the representation of sexual violence in literature and other media, with a particular focus on perpetrator narratives and the strategic uses of silence. Her other research interests include Black Canadian literature and autobiography studies. Lucia is also a painter, songwriter, and Internet loudmouth. In today's episode, teacher and poet Rachel Edelman explains how writing poetry is akin to The Great British Bake Off. Then, she reads a love poem and we discuss her own work. This is a 40 minute episode, so clearly I am not keeping my 20 minutes or under promise. Stay tuned for updates on the project! More about Rachel: Raised in a Jewish family in Memphis, TN, Rachel Edelman's poems examine how humans confront and evade the destruction we have wrought. Her work has been published or is forthcoming in Beloit Poetry Journal, The Threepenny Review, Poetry Northwest, and elsewhere. She has received fellowships and residencies from Crosstown Arts, Mineral School, the Academy of American Poets, and the University of Washington. She holds an MFA in poetry from the University of Washington and a BA in English and geology from Amherst College. She works as an Upper School English teacher at Seattle Academy of Arts and Sciences. In today's flash briefing reading, we get you to the last sneak peek before Thursday's episode. Rachel reads "Aubade with Burning City" by Ocean Vuong. Listen in, enjoy the poem, and prepare yourselves for tomorrow on The Great British Baking Show. Ocean's poem: https://www.poetryfoundation.org/poetrymagazine/poems/56769/aubade-with-burning-city Rachel: Raised in a Jewish family in Memphis, TN, Rachel Edelman's poems examine how humans confront and evade the destruction we have wrought. Her work has been published or is forthcoming in Beloit Poetry Journal, The Threepenny Review, Poetry Northwest, and elsewhere. She has received fellowships and residencies from Crosstown Arts, Mineral School, the Academy of American Poets, and the University of Washington. She holds an MFA in poetry from the University of Washington and a BA in English and geology from Amherst College. She works as an Upper School English teacher at Seattle Academy of Arts and Sciences. Flash Briefing: Rachel Edelman Reads "Stone Way North"
To prepare you for Rachel's lesson plan on poetry and The Great British Bake Off, Aka The Great British Baking Show on Thursday, listen in to her reading one of her August-perfection poems, "Stone Way North." More about Rachel: Raised in a Jewish family in Memphis, TN, Rachel Edelman's poems examine how humans confront and evade the destruction we have wrought. Her work has been published or is forthcoming in Beloit Poetry Journal, The Threepenny Review, Poetry Northwest, and elsewhere. She has received fellowships and residencies from Crosstown Arts, Mineral School, the Academy of American Poets, and the University of Washington. She holds an MFA in poetry from the University of Washington and a BA in English and geology from Amherst College. She works as an Upper School English teacher at Seattle Academy of Arts and Sciences. Flash Briefing: Jane Wong Reads "Thaw"
In this segment of Patrick and Pop Music, Patrick breaks down the catchy perfection of Robyn’s latest viral single, “Missing U.” Patrick takes us along on his music and lyrics analysis journey, starting with who Robyn and you might be missing through Anne Carson, Marcel Duchamp, Cole Swensen, Pierre Bonnard, and more. Basically: heartbreak, glass metaphors, dancing beats, and where pop culture and poetry intersect. About Patrick: Patrick Milian is a David A. Robertson Fellow, doctoral candidate, and teacher at the University of Washington where he also received his MFA. He has been a William Ralph Wayland Fellow, the recipient of a grant from the Klepser Endowment, and winner of the Richard J. Dunn Teaching Award. His poetry and creative non-fiction have appeared in Denver Quarterly, Fourteen Hills, Mid-American Review, The Offing, and The Seattle Review, for which he was a Pushcart Prize nominee. In this episode, Lucia and I chat about so many things! As artist, scholar, public speaker, and activist, Lucia speaks to musing on Dionne Brand’s recent work, Twitter as a poetic and scholarly form, the importance of reciprocal community engagement, academia as a problematic institution, and more. We had so much fun and covered so much that I am breaking this into 2-3, bite-sized chunks for you. About Lucia: www.empathywarrior.ca twitter.com/empathywarrior Lucia is a postdoctoral fellow in English and Cultural Studies at McMaster University. Trained as a Canadianist, she studies the representation of sexual violence in literature and other media, with a particular focus on perpetrator narratives and the strategic uses of silence. Her other research interests include Black Canadian literature and autobiography studies. Lucia is also a painter, songwriter, and Internet loudmouth. Today's Flash Briefing is from guest interlocutor, Dr. Lucia Lorenzi, who reads Ross Gay's poem, "A Small Needful Fact." You can find the text itself here: https://www.poets.org/poetsorg/poem/small-needful-fact. Dr. Lorenzi will be the vlog guest tomorrow (Thurs), where you can view our YouTube chat or listen in here. More about Lucia: www.empathywarrior.ca Twitter.com/empathywarrior Lucia is a postdoctoral fellow in English and Cultural Studies at McMaster University. Trained as a Canadianist, she studies the representation of sexual violence in literature and other media, with a particular focus on perpetrator narratives and the strategic uses of silence. Her other research interests include Black Canadian literature and autobiography studies. Lucia is also a painter, songwriter, and Internet loudmouth. For more on the vlog, see ChelseaGrimmer/The-Poetry-Vlog. Today's Flash Briefing is from guest interlocutor, Dr. Lucia Lorenzi, who reads from Dionne Brand's forthcoming book, The Blue Clerk. You can find the text itself here: https://granta.com/the-blue-clerk/. Dr. Lorenzi will be the vlog guest on Thursday, where you can view our YouTube chat or listen in here. Tune in tomorrow, too, for a second guest reading by her! More about Lucia: www.empathywarrior.ca Twitter.com/empathywarrior Lucia is a postdoctoral fellow in English and Cultural Studies at McMaster University. Trained as a Canadianist, she studies the representation of sexual violence in literature and other media, with a particular focus on perpetrator narratives and the strategic uses of silence. Her other research interests include Black Canadian literature and autobiography studies. Lucia is also a painter, songwriter, and Internet loudmouth. For more on the vlog, see ChelseaGrimmer/The-Poetry-Vlog. In this episode, Somaiya Daud and I talk about her book, "Mirage," which is available now for pre-order (somaiyabooks.com) and will be out August 28, 2018! We discuss incorporating Arab poetry, Moroccan apparel, and the her future-set sci-fi galaxy. 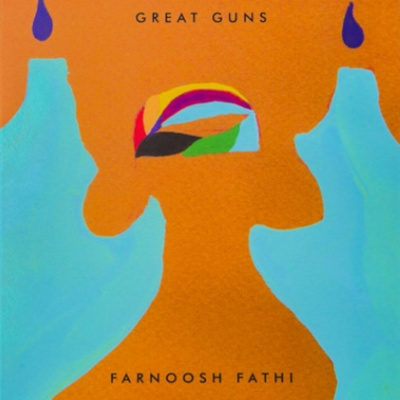 I learned in the interview that poetry is part of how the book looks at translation, colonization, and the necessity of a future that does not center whiteness. Somaiya is a brilliant Ph.D. candidate the University of Washington, and I already cannot wait for the sequel to Mirage :). For more, visit her site, somaiyabooks.com. Episode 13: Patrick & Chelsea on Selena Gomez's "Back to You"
Tune in to hear Patrick and Chelsea laugh about, dance with, and break down the lyrics to Selena Gomez's hit single, "Back To You," also the featured single of the Netflix show, "13 Reasons Why"! Patrick and I are going to make weekly-ish pop culture commentary episodes a thing, so if this was funny and fun, let us know what you want us to discuss! Next week, for instance: Robyn! As always, make requests, commentary, or questions via Facebook.com/the-poetry-vlog, ChelseaGrimmer.com, Twitter.com/ChelseaGrimmer, etc. Flash Briefing: Somaiya Daud Reads from "Mirage"
Flash Briefing: Abi Pollokoff Reads "Amnesty"
My students constantly ask me to read or show them my own work. I prefer not to, because the class is not for me in that way. But, I did promise some that I would post one here. So, I am reading my longest poem from my manuscript, which is also the last long poem I have written. This five minute reading is from my manuscript, The Lyme Letters, and the poem is, "My Dearest Ezekiel," which is also the cornerstone poem for my chapbook, "Ezekiel," which I completed last week. Enjoy and pat yourselves on the back for talking me into it, beloved poetry students :). If you have questions, comments, etc., as always: ChelseaGrimmer.com, Twitter.com/ChelseaGrimmer, Instagram.com/The_Poetry_Vlog, Facebook.com/ThePoetryVlog, or cgrimmer@uw.edu. Tune in to hear Jacqueline speak about how her memoir writing on sexual assault and her neurological illness intersects with her PhD research! We had a ton of fun catching up as we are friends back in the MFA days, and while the YouTube quality on this one was poor, the audio comes through loud and clear. For on Jacqueline: Instagram: jacquelinealnes Twitter: jacquelinealnes www.jacquelinealnes.com The essay from which she read: https://nyti.ms/2MbxGYp Another essay by Jacqueline about running/sexual assault: http://bit.ly/2Mbdl5C As always, make requests, commentary, or questions via Facebook.com/the-poetry-vlog, ChelseaGrimmer.com, Twitter.com/ChelseaGrimmer, etc. Flash Briefing: Ocean Vuong's "A Little Closer to the Edge"
Flash Briefing Poetry Reading: Victoria Chang's "Obit"
Tune in to hear Patrick explain rhythm, pop music, opera, modernist poetry, his own poetry, and Katy Perry intersections! This was a blast to record and went about five minutes over without even recording discussion of his poems, so as bonus content the previous two Flash Briefings are guest readings from him of his work, as well myself reading his poems. As always, make requests, commentary, or questions via Facebook.com/the-poetry-vlog, ChelseaGrimmer.com, Twitter.com/ChelseaGrimmer, etc. Flash Briefing Poetry Reading: Bonus Episode as Chelsea Reading Patrick's Poem! Flash Briefing: Joanna Klink, "Some Feel Rain"
Flash Briefing: John Beer, "Lucinda"
Flash Briefing: Terrance Hayes' "The Avocado"
This is a weekend bonus episode. I clarify some statements I made in the first episode about religion and decide to move away from and think through the need (or not) for "explicit content." Flash Briefing: Vassar Miller, "If I Had Wheels or Love"
Here, I give a 5 MINUTES (record time) update on The Poetry Vlog. Already in just two weeks, the response has been so great and helpful, that major changes are afoot. Listen in to this week's brief one-on-one podcast to hear what's coming and where this is going. As always get at me via twitter, Instagram, FB, email, or my site, ChelseaGrimmer.com, if you have thoughts, requests, questions, or any other feedback. Flash Briefing: Mahmoud Darwish from "Mural"
*audio is poor: This episode works best in YouTube vlog form, where you can see a slideshow of Andrea's art and use visual cues to aid in the poor audio. That aside, this was such a fun conversation! I had never thought of the poetry/comedy cross-overs, nor of how visual art in *this* way intersects with written, word-based language! Plus Safi does her famous impersonations for us! Flash Briefing: Chelsea Reads Richard Siken's "Crush"
Today's flash briefing is the first poem, "Sheherazade," from Richard Siken's book, "Crush." This book was the winner of the Yale Younger Poets Series in 2005. It is gorgeous. Remember to tweet at me (twitter.com/ChelseaGrimmer) or contact me via my site, ChelseaGrimmer.com, if you have thoughts, feedback, or requests!